Another book for the YA historical fiction challenge-2011. Head over to YA Bliss to see what the challenge is all about. At some point during the course of your education, you surely heard about "Typhoid Mary." But chances are you didn’t hear very much. I remember learning that back at the turn of the century (that would be the twentieth century) there was a woman who infected a whole lot of people with typhoid fever because she was a healthy carrier of the disease. There was something vaguely sinister about the story, about Mary herself, but it wasn’t clear what. Was Mary doing it on purpose or was it just the ignorance of the times? Did you ever want to learn more about Mary? Julie Chibbaro did. She researched the story of Mary Mallon, the Irish immigrant cook who, unfortunately, became Typhoid Mary. Chibbaro then gives us a glimpse of Mary through the eyes of an intelligent, sympathetic, young protagonist, Prudence Galewski. Written as Prudence’s diary, Deadly, shows us a lonely sixteen-year-old girl, brimful of curiosity about science and disease. Prudence feels like an outsider at the finishing school where the other girls are interested only in clothes and gossip. They hope for jobs as salesgirls or typists. Prudence wants to do something about death and disease. Her older brother died from an infected wound and her father went off to war and never returned. So Prudence thinks a lot about death. Providentially, the handwriting and typing skills she has acquired land her a job working for a chief in the city Department of Health and Sanitation—Mr. Soper. He appreciates her intelligence and diligence and tells her he doesn’t simply want a secretary. He wants an assistant. When he gets called out to investigate an outbreak of typhoid, Prudence goes along as an active team member. The clues they ferret out lead them to Mary Mallon. 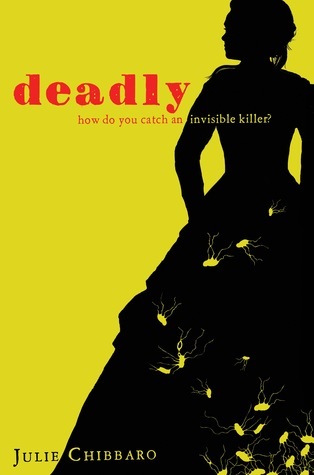 Deadly is an interesting peek into the life of a working class girl in early 19th century New York. It does a nice job portraying the scientific and medical knowledge as well as the limitations of the knowledge of that time period. The diary format makes for a quick read and allows the reader intimate insight into Prudence’s feelings, which become increasingly complicated over the course of the novel. The diary format can distance the reader somewhat from the action, but the action in this book lends itself to this kind of analytical narration. The sympathetic characters and a desire to find out how the issues would be resolved kept me turning the pages avidly. I came away from the novel with a much greater understanding of Mary Mallon, just as Prudence did. 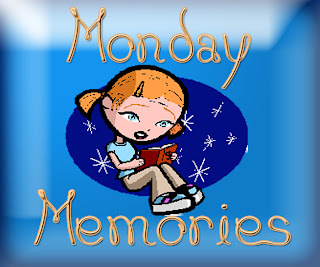 Today I'm taking part in a meme started by Annette at Annette's Book Spot called Monday Memories. Here's the deal, it's a meme to "feature favorite books we've loved from the past. You can link to an old review, or write something new about a beloved book from your past. Really, what's important is not the book, but why it is memorable to you." Do you have a book that brings back swarms of warm fuzzies? Head on over to Annette's and tell us about it. This is one of mine: The Best-Loved Doll by Rebecca Caudill. If you've ever read it, you're probably feeling warm and fuzzy right about now, as memories flood back to you. When I was young, that just-entering school age, I was not a girly-girl, but I did love my dolls. I knew they weren't real, but there was that part of me that believed they almost had feelings. I had a favorite, Ruthie, but I didn't want the other dolls to know because I didn't want to hurt their feelings. So when I read this book about Betsy and her four special dolls: Melissa -- who is antique, Belinda -- with her hand-sewn, fine clothes, Mary Jane -- a mechanical doll who can sew at a sewing machine, and Jennifer -- a plain, rather worn-out, best-loved doll, I was spell-bound. Betsy is invited to a birthday party and asked to bring a doll along. There will be prizes for oldest, best-dressed, and for the doll who can do the most things. But Betsy decides to bring Jennifer. The book is utterly sweet. Any child who whole-heartedly loves a toy will empathize completely with Betsy and will have her heart warmed by the conclusion. And I love this story even more because I rediscovered it when my own daughter was at that doll-loving age. It's a perfect read-aloud story. And it's a beautiful favorite for mothers and daughters to share. 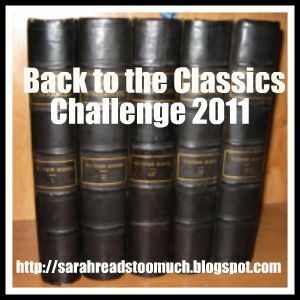 I suppose it was bound to happen–a Back to the Classics book that I expected to love, but didn’t. After having To Kill a Mockingbird and All Quiet on the Western Front meet all my expectations for awesomeness, I was fully prepared to be awed once again. Instead, I appreciated the book but I also found it a bit...irritating. Oscar Wilde’s The Picture of Dorian Gray was first published in book form in 1891, so it comes in just under the wire for my 19th century classic. I’ve wanted to read this for a long time because it’s supposed to be so representative not only of Wilde’s work but of Wilde. I wanted to be dazzled by his wit, shocked by his licentiousness, and frightened by the storyline’s Gothic suspense. But I was underwhelmed. Dorian Gray is an absurdly good-looking young man at the book’s opening. Young and innocent, he is seemingly unaware of his own beauty and the effect it has on people. He’s been discovered by Basil Hallward, a painter, who has become enamored with him. Basil has been painting Dorian and feels that his appreciation of the young man has somehow elevated all his art. Most significantly, he has painted the portrait. Reluctantly, Basil introduced Dorian to Lord Henry Wotton. Henry is an aristocrat, a man who doesn’t do anything but go about in society. He particularly likes to hear himself talk. And Henry is a bad influence. He very much enjoys being a bad influence. He is pleased with his own reputation for wittiness and for naughtiness. However, much of his reputation for naughtiness is due to what he says more than what he actually does. He doesn’t have the youth and beauty to get away with too much bad behavior. Wotton meets Dorian and is thrilled by his youth and the fact that he is essentially a blank canvas. Wotton is determined not to let all that youth and beauty go to waste. He encourages Dorian to discover what life has to offer– namely, pleasure. Selfish pleasure. The first step is to make Dorian aware of his looks by pointing out the portrait Basil has painted. In examining this image of himself, Dorian not only recognizes how beautiful he is but also understands (thanks to Wotton) that much of his beauty is because of the young, untouched innocence that is there. Youthful innocence is a fleeting sort of charm. He cries out a prayer that the painting should age and he should remain unchanged. That is the well-known premise of the book. Dorian’s picture ages and warps, but he remains forever youthful in appearance. He goes on to lead a life of increasing hedonism and corruption, encouraged by Lord Henry, who knows nothing about the painting. I won’t spoil the ending for those who haven’t read the book. My reaction was mixed. The writing is outstanding, naturally, and it’s well worth the read just from that standpoint. Plus, it is something of a cultural icon. Or was. People still make references to the seemingly ageless person and the portrait in the attic, don’t they? However, I expected to be more sucked in by the plot. To feel more suspense. In fact, the picture plays a surprisingly small role. And even the role it does play...I never quite believed. It was too contrived. There was no attempt to spin any sort of convincing explanation. Yes, it is supernatural or Gothic or paranormal, or whatever label you put on a thing that is cool and spooky but remains a completely unrealistic plot device. Sometimes I can suspend disbelief and be creeped out, but this time it seemed academic, not creepy. I read the book looking for what the changing picture symbolized. It felt like a book to read to study, not to read to enjoy. I had a similar reaction to the characters. I could not appreciate them as actual people. They were examples of people. Dorian was the beautiful boy who lost his soul. Basil was the passionate, tragic artist, the weak voice of restraint. Lord Henry was the indifferent, amoral hedonist, the witty tempter. Wilde wrote their scripts and they acted their parts, but I never felt like I was immersed in a real world that they inhabited. The book does abound with witticisms. Lord Henry prides himself on being a wit, others compliment him on that. Wilde was careful to pack Henry’s speeches with bon mot after bon mot and to send the men to plentiful social engagements so that Henry could show off. Sometimes he would have Dorian quote Henry for a bit of variety. So that was good for mild amusement. But Henry was such an irritating, full-of-himself character that it had the effect of turning me off Wilde. (Apologies to Wilde enthusiasts. I do agree that he is talented. Yes, he is funny. His cynicism is exceedingly clever. But unrelenting as it is, it did get a bit tiresome.) I began to wonder if he kept a notebook of witticisms, chuckling to himself at his own cleverness, and decided he just had to write a novel constructed around a witty devil whose inane philosophical ramblings corrupt an empty-headed Adonis simply so that he (Wilde) could compile his own collected wit and wisdom in one marketable volume. My final analysis is this: I’m glad I finally read this book. It has been on my shelf a long time, haunting me. There is much to admire in Wilde’s writing. I still think the premise and the theme are brilliant. But overall this is the type of book I’d rather have read for a class. I would have enjoyed finding some particular piece of minutiae within the story to write a paper about. It’s a great book to pick apart and analyze. For me, it wasn’t a great novel to sit down and enjoy. It's Friday! Time for the book blogger hop, hosted by Crazy for Books. Come join the fun! Meet other book bloggers and add some books to your TBR pile. Absolutely! I love being surprised by authors I've never read before, but there is also something reassuring about picking up a book by someone whose style of writing has pleased me in the past. There are a good many writers whose works I "collect." Cecelia Holland comes to mind. I fell in love with Great Maria and now have a shelf full of Holland's books. Another author I managed to stalk despite her switch in genre and name was Judy Blundell. Here is my review of Strings Attached. And anyone following this blog might have noticed how quickly I ran out and read A Northern Light by Jennifer Donnelly after reviewing Revolution. That's just a couple examples of single titles. It's even easier for me to get addicted to series. How about you? Are you always on the prowl for new writers or do you hang out for awhile with your favorites? Strings Attached by Judy Blundell: It’s 1950, and 17-year-old Kit Corrigan is at the end of her rope. She’s fought with her father and broken up with her longtime boyfriend, Billy. In furious revenge, Billy enlisted in the army. Kit decides to escape from her hometown of Providence, RI, and start a new life in New York City. But although she’s a talented dancer with "the look," she quickly learns how difficult it is to make it in New York. And then, a man makes her an offer she can’t refuse. Nick Benedict, her ex-boyfriend’s father, who happens to be a lawyer for the mob, offers her an apartment rent-free and a lead on a job dancing at a prestigious nightclub. All she has to do is keep in touch with Billy and pass on any information she learns. Even though Kit knows better than to get involved with Nick, part of her wants an excuse to contact Billy. Before long, Kit is caught up in a web of obligations and lies. The more she searches for a way out, the more tangled in his web she becomes. I love Judy Blundell’s writing. I first became a fan when reading the Star Wars- Jedi Apprentice series by Jude Watson with my middle grade son. Although they could have succeeded simply as short, plot-driven science fiction pieces, they were so much more. I was impressed by the character development. I became (embarrassingly) emotionally attached to those Jedis and had a hard time putting the books down. When I learned that Jude Watson and Judy Blundell were the same person, and Judy Blundell wrote YA historical fiction—What I Saw and How I Lied, a National Book Award winner, I raced out to get it. That is another book I highly recommend. Which brings us to Strings Attached. Told from Kit’s point of view, the main action takes place in 1950, following her move to NYC, but the story does not unfold in a linear, chronological fashion. We also flashback to Kit’s past to fill in gaps. This allows for gradual understanding for Kit and for the reader. The format worked very well. It was easy enough to check the date at the beginning of each chapter and to settle in to the read, piecing together more of the characters’ fragmented pasts. It was very satisfying as each of the pieces clicked into place. This is a dark book (mobsters, murders, drunkenness, deceit) but there are enough good-hearted people to keep it from miring in darkness. Overall, I remained impressed by Blundell’s mastery of both intricate plotting and deeply complex characters, and I eagerly await her next book. 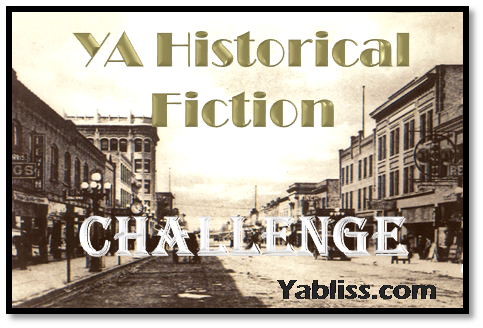 I read this as one of my YA-historical fiction challenge books. Check out the challenge at YA Bliss. MAILBOX MONDAY: A new old book! Mailbox Monday was originally hosted by Marcia at The Printed Page, but is now a traveling meme and for the month of April Mailbox Monday will be hosted by Passages to the Past. Head on over to add your blog to the linky link and share your newest acquisitions with other book lovers. This week I received one book -- a particular treat. I love old books. I'm not a collector by any means. At my house we're too sloppy and careless to try to treat things as investments. But there is nevertheless something a little thrilling about opening a package and getting an invoice from "Rothwell and Dunworth LTD- Antiquarian Booksellers." I hadn't realized I'd ordered an antique. The Story of Bruges by Ernest Gilliat-Smith, 1903. This book thrills me. The corners are bent. The pages are yellowed with brown splotches. The paper is thick and unevenly cut. It's old but it's completely intact. The fold out maps and geneological tables are not torn. And best of all, the book is exactly what I was looking for in a history of Bruges. In fact, it was even better than I'd hoped. As a fan of Galbert of Bruges's The Murder of Charles the Good, I have been pretty well indoctrinated to his interpretation of the assassination. It almost goes without saying that when a pious count is murdered at the altar during Lent by a small group of his own vassals, those vassals are in the wrong. And although there are explanations for why those men did what they did, the bias is nevertheless against them. I expected this book to tell me more of the same. The men who murdered Charles were vile and deserved their eventual fate. However, this book is a larger history of Bruges and puts Charles's assassination into a broader historical context. Charles is not without fault and the villains are portrayed very differently. It is fascinating to be reminded that there are always two sides to every story. As a history book, the writing style is naturally very different from modern-day books. I tried to imagine whether this would be considered academic or popular. (The author uses the appropriate primary sources for his research, but the book is very sparsely footnoted and the author inserts quotes without attribution.) So my main question is, is it reliable? How would today's historians refute the arguments put forth by Gilliat-Smith? I tried to discover the identity of the author. Internet searches revealed only a couple other history books in the same vein, but no clue as to his credentials. Does anybody out there know? In the end, I'm not qualified to judge its relative historical accuracy. I'm just pleased to have discovered this beautiful old, old book that is such a delight to read. The facts line up more or less with those in Galbert's work (Galbert was one of the primary sources), the difference lies in the interpretation of those facts. I'll leave the tricky business of interpretation to historians. Welcome to Reading World's first guest blog. 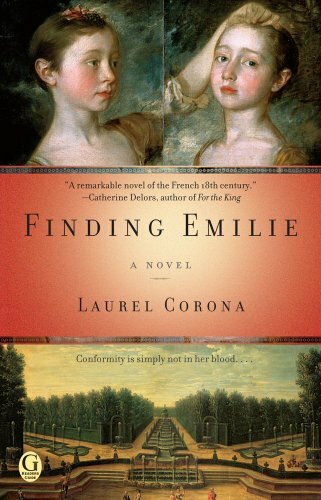 Laurel Corona, author of Finding Emilie, will tell us about 18th century fashion. You've seen the giant dresses and mounds of hair. You have been curious, haven't you? When I leaf through history books, or go to an art gallery and see portraits of men and women in white wigs and wearing the tight, constraining clothes of the Enlightenment era, something in my head says, “move on.” Maybe it’s a bit too much of the Founding Fathers in school, but they all seem so starchy, unfun, and, well, academic. The more I learned doing research for FINDING EMILIE, the weirder they became. I discovered, for example that the panniers the women wore to balloon their skirts out like boxes over their hips made it impossible to sit on a chamber pot, so they wore huge numbers of petticoats and simply peed where they stood. Ewww!! And one reason that enemas were so popular was--well, do I need to say how difficult a major rumbling in the gut might make things? I discovered also that tight and precise fits made it necessary to be sewn into gowns, particularly the sleeves, and that gowns were often varied by choosing different sleeves, or different outer or inner layers that would peek through or cover up a fabric one didn’t want to be seen wearing too often. I wondered then about all these scenes of seduction from racy French novels of the time. Surely a woman could not allow her sewn-in body to be bared. How would she get home with torn-off sleeves and ripped seams? No quickies in a back room, that’s for sure, unless she just took off her panniers and lifted her skirt. How romantic! And then again, it seems as if the whole point of seduction was to leave men unrequited. It was about teasing, about ardor, about hope and imagination. While she’s flirting, a parallel conversation must have been going on in the woman’s mind. How can I get this man into my bedroom after I’ve undressed? Do I really want to take that risk? How attractive, rich, powerful, charming is he anyway? My guess is the answer was often a flirtatious flick of a fan, a “come hither but stay away” reply, and not much in the way of action. As I pored through source materials, I also discovered what social forces drove women into corsets, stomachers, busks, and panniers. In some respects I suppose it’s the same things shoveling women into push-up bras and body shapers today--an idealized body ours inevitably falls short of, and social pressure to make ourselves as attractive as possible. But the extremes of dress at Versailles in the eighteenth century reflected something much deeper. Women’s gowns and hair were not only symbols of that culture but also actors in a complex story of social dominance. Panniers became ever wider and skirts more voluminous in the years before the French Revolution. Hair was piled higher and higher, with elaborate decorations perched on top. Such things were a contest of sorts, an opportunity to show one’s grace and breeding by the simple act of managing to wear such a thing at all. Picture it. You’re sewn into a dress in which you can barely move. Your arms are encased in skintight sleeves, tipped with layer after layer of delicate lace just long enough to brush across the remnants of food on your plate, and overturn a thin porcelain teacup or delicate crystal glass. Yet you must move your arms because it is ungracious just to sit there. You must coyly offer a bite on your fork to the man next to you, or touch his hand to make a point. You must lean toward him, or toward your glass or plate from the hips because the rigging of your dress makes it impossible to bend from the waist or shoulders. Your hair style has doubled the height of your head and is weighed down with a headdress that feels as if it might be shifting, but you must tease and flirt without appearing stiff necked. All of this is a test. 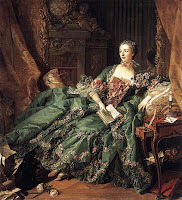 How do you handle a dress like the one worn by Madame de Pompadour in the painting shown here? How do you look relaxed in a hairdo like the one Marie Antoinette is sporting here? Can you float your way through a room filled with delicate furniture topped by precious porcelain decorations, without knocking anything over (a mere touch might do it) in a skirt so wide you had to turn sideways to get through the doorway? Can you sit down gracefully, ballooning out the yards of fabric in your skirt just so--and even harder, appear relaxed while you converse, and then rise with no apparent effort to your feet? If a gentleman offers you a hand to get up, can you lay it in his without grasping or tugging on it, to prove that you needed no help at all? Walk to couch. Rotate hips to move panniers aside so I can land on my behind. Stick out left foot enough to help shift my weight to right foot but not enough for it to show from under my petticoats. Weight on right foot, bend at hips, brace leg against couch and go down slowly. Voilà. Lili hit the seat with only a little bump. Get up from the couch as gracefully as if the air under your gown was setting you afire, Lili thought, suppressing the urge to laugh. Except it wasn’t funny. In a world where impoverished hereditary aristocrats and wealthy bourgeoisie intermarried--the former for money, the latter for title--to fail to be effortless and gracious indicated poor breeding, a sign that, poor dear, you really don’t belong in society. Lives could be ruined over a porcelain figurine knocked from a table, an indecorous laugh, a poorly received remark, a toppled hairdo. As Lili and Delphine prepare for Versailles, they know that their future depends entirely upon things that don’t--or at least shouldn’t--matter at all. Jen at Crazy For Books is holding her weekly book blogger hop a little off schedule this week. Instead of the weekend, it's running through the week. If you love reading and blogging about all things bookish, take a look at the link. It's a great way to connect with other book bloggers. 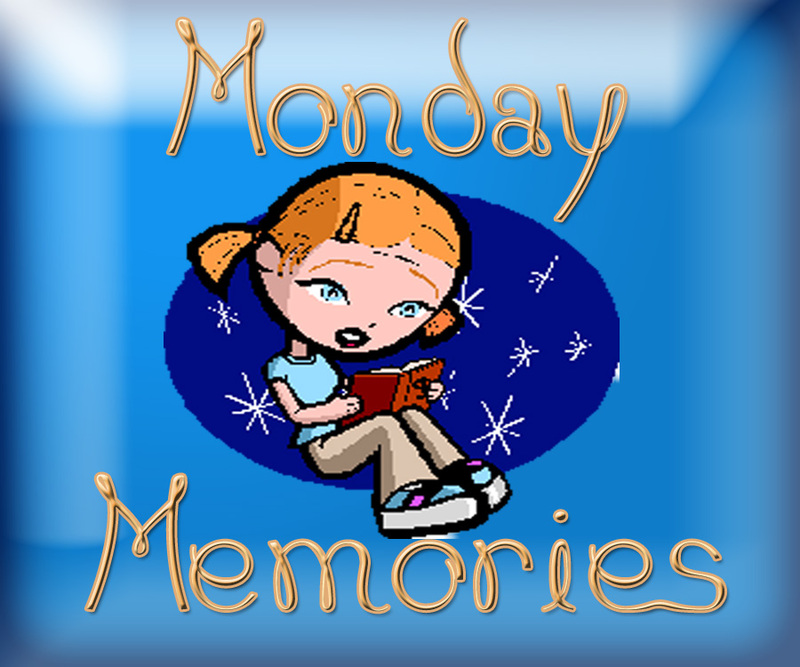 This week's question is "Outside of books, what is your guilty pleasure?" My "guilty" pleasures involve wasting time. I love soaking in a hot tub, but that requires changing clothes. And I hate being cold and wet when I get out. The simplest guilty pleasure is coming home from work and indulging myself with a nap. When I heard Laurel Corona was about to release a new book, I mentally added it to my TBR list because I enjoyed Penelope’s Daughter so much. Since my list is so dauntingly long, I was content to wait until the release date--until details began seeping out, intriguing me more and more. For example, the book is set just before the French Revolution. Jennifer Donnelly’s Revolution has made me more curious than usual about books from this period. And then I learned that the book centered on two brilliant women of the Enlightenment, one of whom was completely real, Emilie du Châtelet, the marquise du Châtelet. 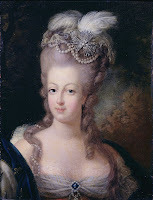 Emilie was a noblewoman and a mathematician-scientist. (The second protagonist is her daughter.) Now I couldn’t wait. Imagine being a math geek girl in the 1700's! How did she do it? Emilie du Châtelet managed to break just about every rule of polite French society but the people who loved her, in particular her husband the marquis, protected her from the consequences of her unconventional lifestyle. That is, every consequence but one. At the advanced maternal age of forty-two, she had a baby girl, Lili. Emilie died a few days later. In real life, Lili barely survived babyhood. In Finding Emilie, Lili’s life takes center stage. This novel explores the question: what would life be like for a young gentlewoman who was extraordinarily gifted but constrained by societal pressures and by the burden of what her mother had been? Lili lives in her mother’s shadow--in that of her mother’s accomplishments and in that of her mother’s scandalous lifestyle. As a child, she is protected from too much knowledge, but as she matures and must make choices about her own future, it’s only natural that Lili needs to learn more. She finds both inspiration and warning in her mother’s life story. The novel is an insightful character study. The reader delves into the hearts of Lili and her closest friend Delphine as they grow from convent girls of eleven years old into marriageable young women whose place in society depends upon finding a suitable match. The book provides an intricate view of court manners during eighteenth century France. Lili is very much aware of the importance of behaving properly, of marrying well. And yet she refuses to let her true self disappear. Lili’s story is interspersed with chapters showing snippets from the life of her mother. From those snippets, the reader is able to reconstruct the life of the brilliant Emilie du Châtelet (longtime mistress of and collaborator with Voltaire!) and come to a conclusion about whether she would have been happier if she’d hidden her intellect and lived more conventionally. This is a novel about personal growth and self-discovery. Although rich with period details, it is not a political book. There is an undercurrent of awareness of the unfairness of the French economic system and of the censorship that threatens Voltaire from time to time, but the book doesn’t dwell on these. More attention is paid to gender inequality. Lili empathizes with the oppressed because she, too, is oppressed. While modern readers won’t relate directly to many of the highly stylized conventions of the day, there are underlying timeless truths. Mean-spirited gossip still exists. Reputations can still be ruined. Competition over an object of affection can turn ugly. Hearts are broken every day. Friendship and love still find a way to triumph. Although Finding Emilie is not marketed as YA, YA historical fiction readers may also want to give it a look. Lili is a young woman searching for a way to remain true to herself while living in a society that is trying to mold her into something she is not. She is a loyal friend, but sometimes she feels alone in the world. She wants to be loved but for who she is, not for the corseted, panniered, mannered person she must pretend to be in society. Young and older adults can appreciate Lili’s struggles and enjoy her triumphs. Come back tomorrow to read what guest blogger Laurel Corona has to say about ﻿dress and politics! Stay tuned for my first guest blogger -- Author Laurel Corona! I recently had the pleasure of reading Penelope's Daughter by Laurel Corona and discovered a new writer of historical fiction to follow and admire. So, when I had the opportunity to read and review her latest release, Finding Emilie, I jumped at the chance. Especially because Laurel also agree to be a guest blogger here at Reading World and tell us a little more about the history behind the book. It is already attracting attention among historical fiction fans. And although not marketed as a YA book, I think it should appeal to older YA fiction fans since the issues faced by the protagonist are in many ways timeless ones for young women. But wait--I'll post my review on Monday. Lili du Chatelet yearns to know more about her mother, the brilliant French mathematician Emilie. But the shrouded details of Emilie's unconventional life -- and her sudden death -- are elusive. Caught between the confines of a convent upbringing and the intrigues of the Versailles court, Lili blossoms under the care of a Parisian salonniere as she absorbs the excitement of the Enlightenment, even as the scandalous shadow of her mother's past haunts her and puts her on her own path of self-discovery. Laurel Corona's breathtaking new novel, set on the eve of the French Revolution, vividly illuminates the tensions of the time, and the dangerous dance between the need to conform and the desire to chart one's own destiny and journey of the heart. I reviewed this entertaining YA historical for The Historical Novels Review, Issue 55, February 2011. If you are a historical fiction fan, you may be interested in The Historical Novel Society with its quarterly reviews, website with links to authors and new releases, and an upcoming conference in San Diego. Check it out! Insane asylums of the 19th century were a bad place to be locked up, particularly for those unfortunate women who were sane when they were committed. Moreover, men (that is, wealthy or well-connected men) were seemingly allowed to define "crazy" in whatever way was convenient. 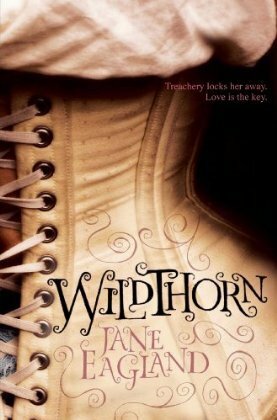 Wildthorn by Jane Eagland joins a strong tradition of novels that deals with these issues. Louisa Cosgrove is an intelligent and headstrong young woman living in 19th century England. Her father is a physician, her mother is a physician's wife and a conformist, and her older brother is her intellectual inferior and a bully. Louisa has never been a "normal" girl. She wants to follow in her father's footsteps and, despite her mother's attempts to squeeze this square peg in to a round hole, her father encourages her to follow her dreams. But after he dies, Louisa finds herself committed to an insane asylum. At first she is convinced it was a mistake; after all, they think she is "Lucy Childs." The she realizes with horror that someone has put her there. Louisa struggles with an impossible conundrum--the more she argues with the authorities, insists upon her true identity and sanity, or suggests that there must be a plot against her, the more she confirms their opinion that she is mad. As expected, if she fights, if only makes her situation worse. Physicians are incompetent (or corrupt) and the staff is either indifferent or sadistic. Along with Louisa, the reader searches for a way out, hoping for intervention from a caring relative from outside-- if only the could be made aware of her plight. But who can be trusted if someone she loves put her there?